Easter is almost here folks, and you know what that means right? Okay, yes it means chocolate. And yes, it also means a wonderfully looong weekend. But what I was really referring to was the crafting! 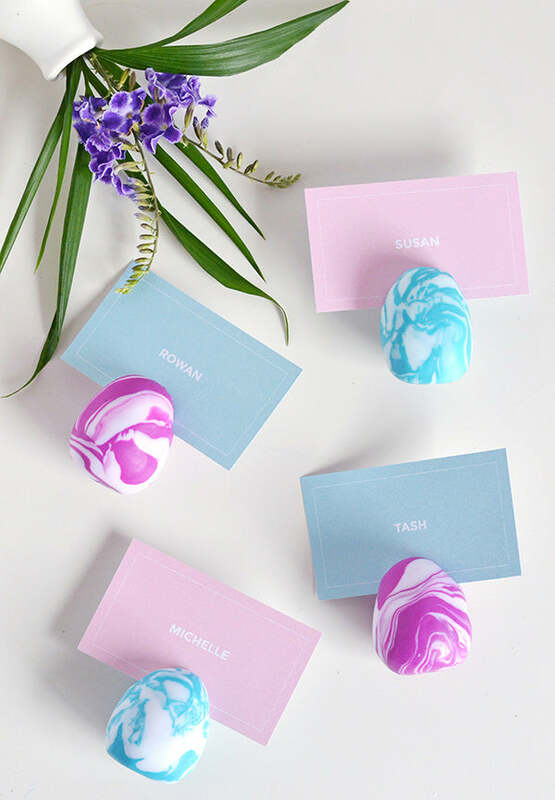 Easter DIYs are right up there with Christmas crafts in my book – they take me back to when I was a kid and I got to spend whole mornings making bunny-eared hats for the school parade. 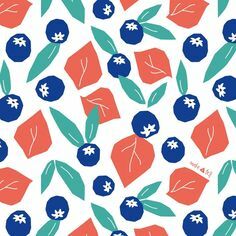 And while sadly this project won’t be showcased in any parade, I can guarantee that it’ll add a nice pop of colour to your table setting! 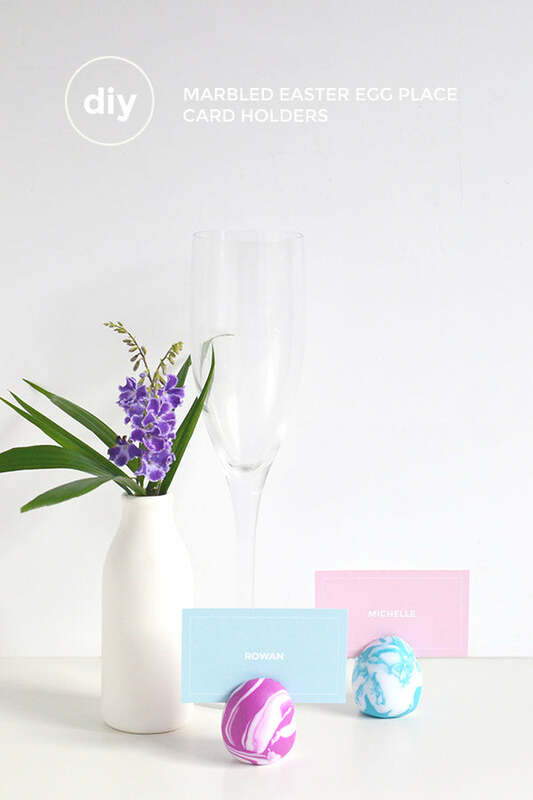 This one’s perfect for anyone who’s hosting Easter party and it’s super simple to DIY. 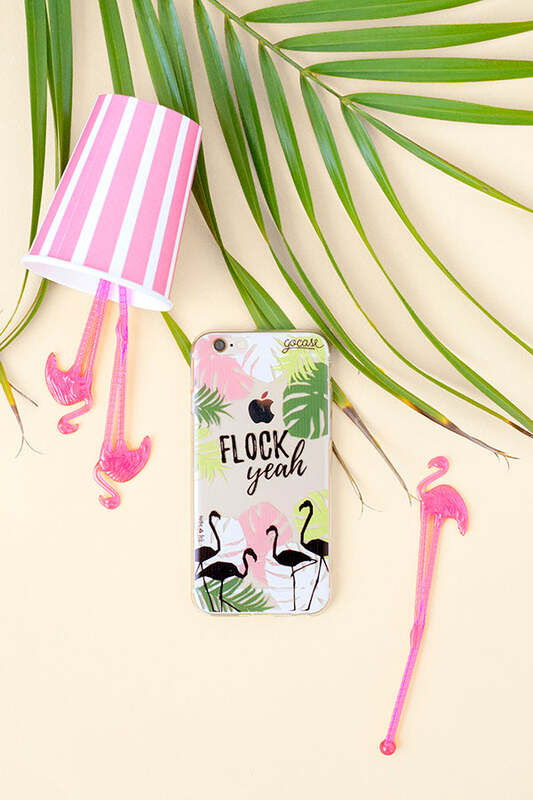 If you’d like to give it a go, grab some clay and let’s get crafting! 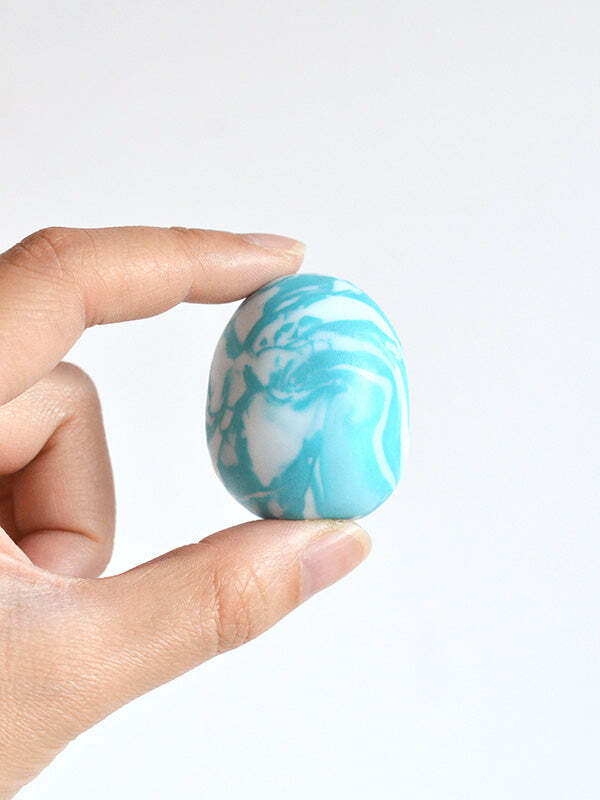 To make one egg that measures around 2.5cm/1 inch in height, I ended up using about half a square of white Fimo polymer clay and a quarter of a square of coloured Fimo polymer clay. 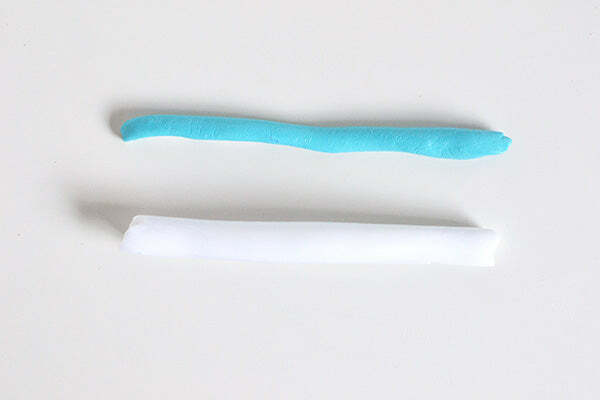 Roll your coloured clay into a thin sausage and then do the same with the white clay. 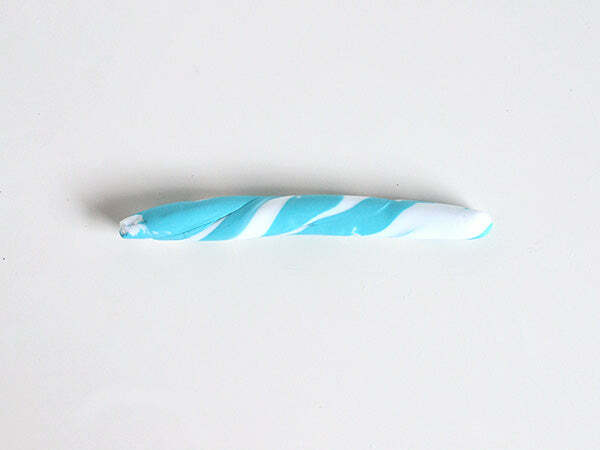 Knead both the coloured and white clay together and then twist them until you have a bit of a candy cane look. Keep working both colours together until you start to get a nice, marbled effect. 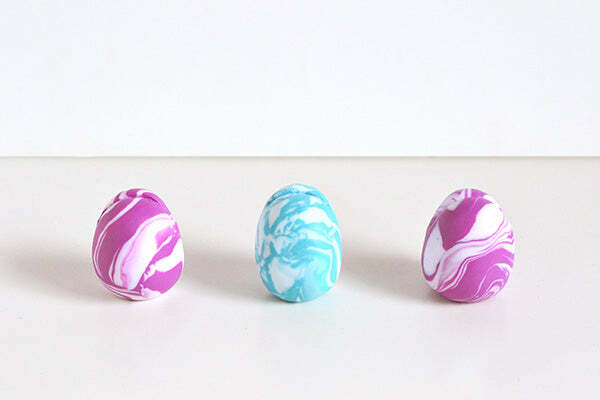 Once you’re happy with how the colour is distributed through the white, roll the clay into an egg shape. 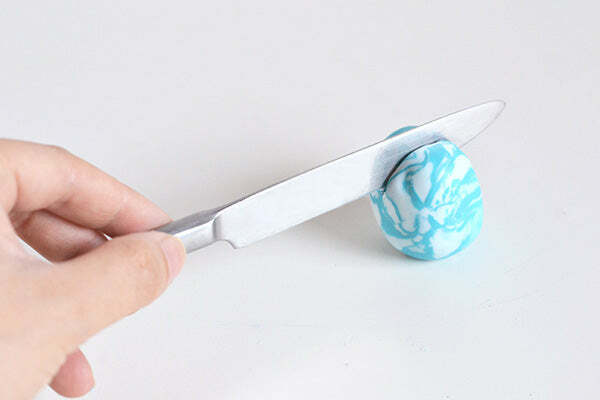 Using your knife, make a slit in the top of the egg. 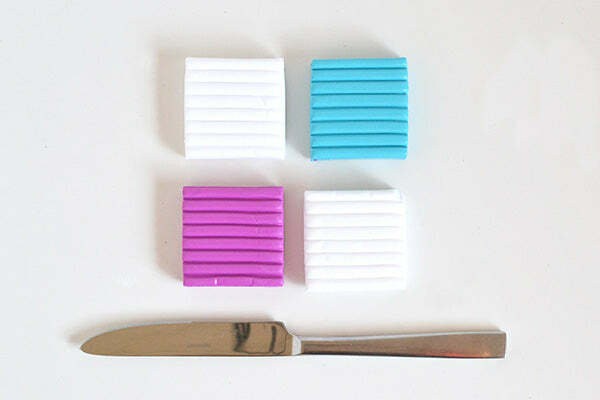 You’ll find that the pressure of cutting down into the clay may flatten your egg a bit – if this happens, mould your egg back into shape while the knife is still inside and then remove the knife. Bake your clay according to the manufacturer’s instructions. 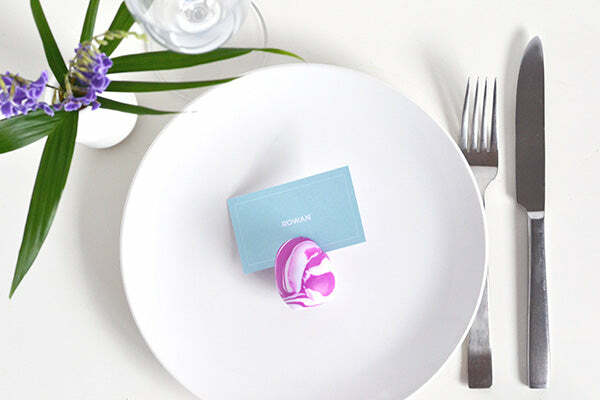 Once your clay has hardened, all that’s left to do is stick your place cards in the top of each egg! 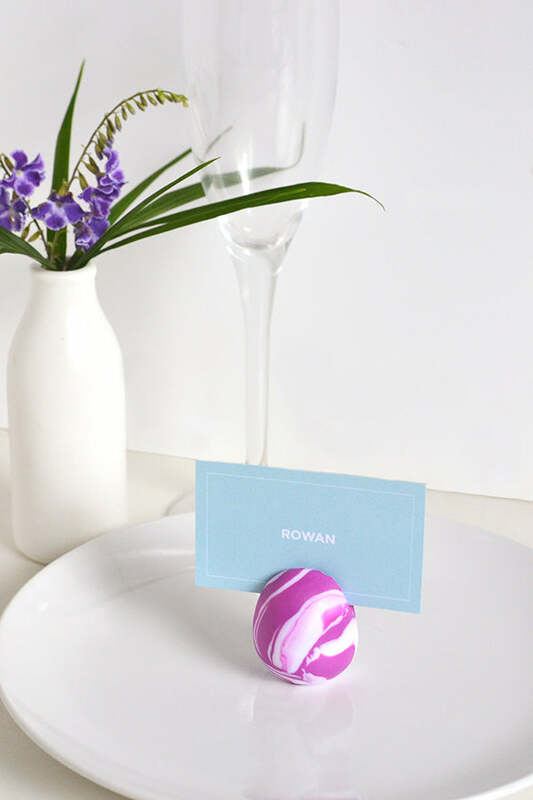 And there you have it – super cute little marbled eggs to mark your guests’ seats at your big Easter party! 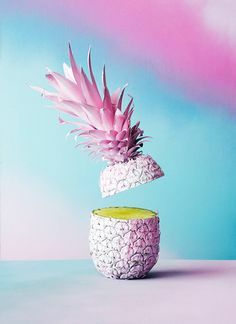 I love how hands on these little guys were to make, plus they’re nice and simple so you could easily get the kids involved! 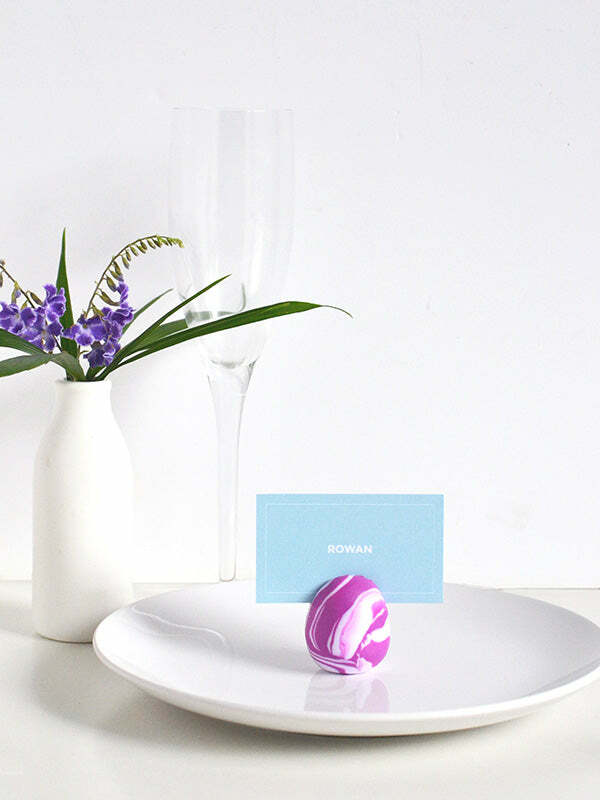 Oh and after the party’s over, I think these eggs would make pretty cute photo holders don’t you?